As a professional landscape designer, I believe in hiring a designer before starting any landscape design project. 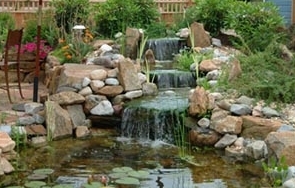 You may come across both Landscape Designers and Design Build Firms offering design services. Each type works very differently. I'd like to explain the differences so that you are well informed about which one is right for you. 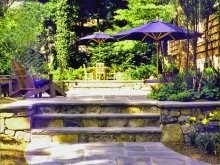 A landscape designer specializes in professional landscape designs. I will design your landscape just focusing on the best design possible for you and your property. I can then recommend some of the best landscape contractors in the area which I have worked with and know provide top quality installations. Meet them, feel comfortable with them and move forward with the installation of your project. An additional option is to hire me to oversee the project. If you know of someone that you would like to use, that's fine too. 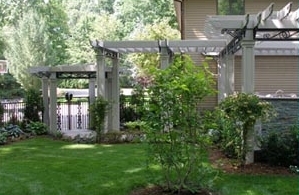 All of our landscape designs are extremely detailed and easy to follow for installation. They are done to scale with notes for contractors as necessary. Since we have invested much time with you and your design, we want to see a successful project. Therefore we will always be available for questions (such as plant substitutions) and you can be assured of a smooth, flowing project...along with a beautifully created, professional design! Here is an example of a design we provided for a client. 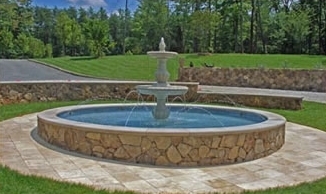 We then recommended an excellent pool company and landscape contracting firm to install the project. All went very smoothly and the clients were thrilled with both the results and the process. This project also won a few awards. The entire property was extensively landscaped with plantings. New paths and steps along the side were included and complicated retaining walls were designed. This was a very large and very successful project! This type of company provides you with the design and also installs the project. It's a one-stop shop, different from a landscape designer. They are basically landscaping contractors. 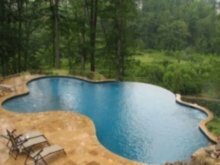 You deal with one company and they do it all...the design, the estimate, the installation of various types of projects (both residential and commercial) such as swimming pools, driveway design, retaining walls, etc. Various types of landscape designers may be on staff. Because one company takes care of everything, many homeowners find this an easy way to approach their landscape project. However, is it the best? Maybe, maybe not, depending on the company. Who will be doing the landscape design? 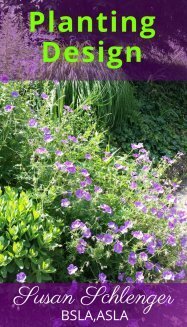 Plants - knowledge of various plants' sun and shade requirements, deer resistance, perennial design for all season color, plant maintenance, etc. 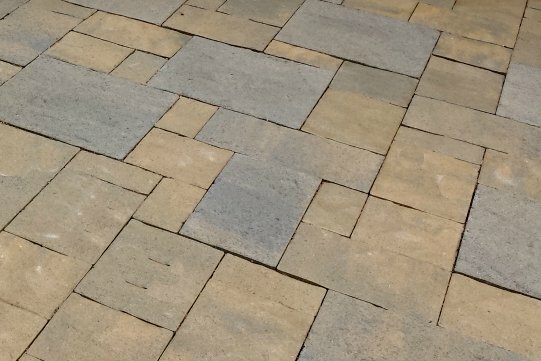 Patio Designs - knowledge of hardscape materials such as concrete pavers, colored concrete, landscaping brick, travertine pavers, bluestone, and other natural stone. How creative are they? Grading and Drainage - a pretty design is all fine and good, but is the drainage going to be dealt with correctly? 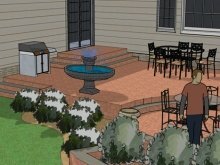 Are they actually professional designers and able to offer this type of landscape design expertise? And expertise goes further...swimming pool designs and all the necessary knowledge, retaining wall structures, lighting design, etc. These are just some examples of what your designer should know about regarding landscape and garden design. Who will be doing the installation? How long have they worked for the company for. If you are taken to see a project or shown pictures, are the same installers going to work on your project or have they moved on? Will you be notified of any plant substitutions prior to the project being installed? Who will make the decision as to what will be changed? Whether you choose a landscape design company or a design/build company, asking these questions will help you make an informed decision.